It really doesn’t matter what kind of smartphone you have: the more these devices are capable of, the more pressure it puts on the battery. If your smartphone is petering out before you’re ready to, consider these ten tips to prolonging battery life between charges. Turn down the brightness of your smartphone screen a good deal as it will help preserve battery life. This can be found in the Options or Settings menu. You’ll get used to the dimmer screen after a short while. On a related note, also set your screen to turn off after a seconds of inactivity. While you might not want it on all the time, many new smartphones offer some form of a “power-saving” mode, enabled in Settings, that darkens the display, turns off non-essential wireless features, and (in some cases) turns the screen to black and white. Some phones may handle this differently, but the effect is the same: reducing power consumption when and where you need it. If you can, turn off “push” services or reduce the frequency in which you ask your smartphone to receive new information -- such as incoming email messages, live sports scores and video game notifications -- as it needs to ping a server to send you the updated data each time. Instead, choose to pull down messages when you need to. Android and iOS users can see an organized breakdown of what's consuming your phone's battery in the Settings area. Unless you need them, turn off some of your phone’s wireless radios as it can also drain your battery because they’re constantly searching for nearby signals. This includes GPS, Bluetooth, NFC and Wi-Fi. Or, in a pinch, turn off all radios, including cellular connectivity, by selecting the “Airplane mode” – plus your phone charges up much faster when in Airplane mode, too. From the “duh” department, always lock your smartphone when you aren’t using it as you'll still be able to receive calls and texts, but you aren’t accidentally turning on the phone when it’s in your pocket or purse (because you hit a button or the screen). After all, there’s nothing more embarrassing than pocket-dialing your boss by accident (at midnight). Bonus tip: Turn off your phone’s vibrate feature, as it uses up more battery than a ringtone. 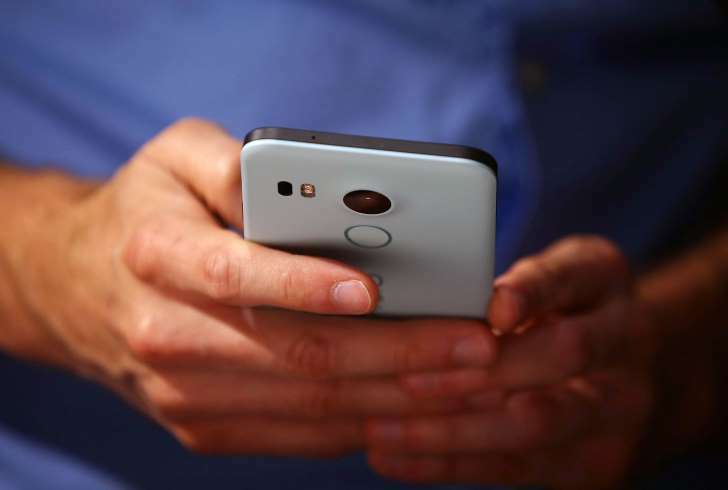 The battery will drain faster if you're using the phone for tasks that are more demanding on the system’s resources -- such as watching video or playing multiplayer games -- than less taxing tasks, such as typing notes or reading an electronic book. Multitasking, such as listening to music while surfing the web, can also contribute to faster battery drain. On a related note, some apps drain your battery more than others (such as ones with many online advertisements or ones that require your location), plus “live” widgets will drain the battery, too. Not every tech expert agrees with this one, but I’ve found it helpful to properly close apps when you’re not using them as they still might be running in the background and thus, using up a bit of power (and possibly data). But don’t do this if you’re going to open the app again soon, as relaunching it will consume more power than bringing a minimized app to the forefront. With iPhone, double-tap the Home button and swipe up to close open apps. Similarly, press and hold the home button on an Android device and swipe to the right to close open apps. If you can help it, don’t keep your phone in hot or cold temperatures, such as leaving it on your car’s dashboard on a sweltering summer day or frigid winter night – as both could prematurely drain your battery. Ideally, smartphones work best from, say, 32 degrees to 95 degrees Fahrenheit. Be sure you download the latest software updates (sometimes referred to as “firmware”) as smartphone engineers are always trying out new ways to improve power management. This can be performed when the smartphone is attached to a computer via USB cable or over a Wi-Fi connection. There are a few protective smartphone cases with a built-in battery pack to give you a boost on the go. But keep in mind these cases add weight and bulk to your phone -- even if you don’t need it. This is why some people prefer to carry around a backup battery that plugs into your smartphone via its USB cable. The higher the mAh number, the more times it can charge up your device, but the bigger it usually is. Some phones like the new LG G5 let you swap out the internal battery with a fresh one.